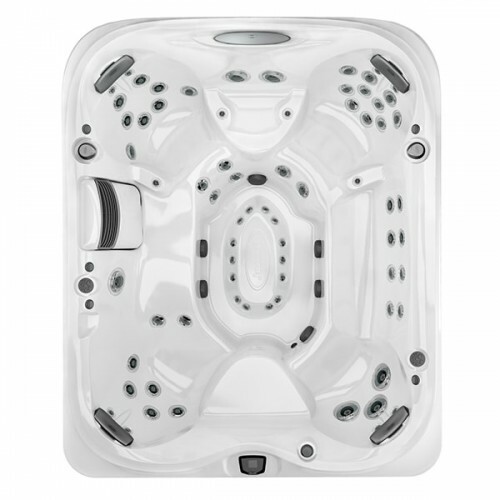 Boasting room for 8-9 adults, the roomy Jacuzzi® J-495™ Hot Tub model is perfect for large gatherings. Packed with plenty of premium PowerPro®Jets, this model includes 11 robust RX Jets for your back and a breathtaking illuminated IX Jet in the foot dome. In addition to dual neck and shoulder-soothing waterfalls, the J-495™ features LED lighting in the logo, pillows and cup holders to add to the ambiance. 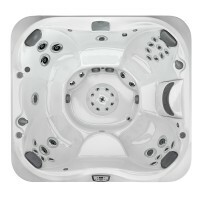 Download a brochure for more details and to decide if this high-performance hot tub is the one for you.